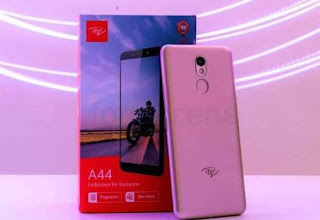 This post focuses on the new Itel A44 Pro Specs, Price of the phone in the Nigerian market and how to root the smartphone for some of us that can't use an android device without rooting. The A44 Pro has a 2GB RAM, 16GB internal storage, an 8 MP selfie camera, a 5 MP rear camera, as well as a rear fingerprint scanner. Itel A44 Pro is a 4G smartphone, with network band support for 4G LTE networks in India. Under the hood is a Mediatek processor. Keeping it running is a 2400mAh battery. Poor by my own standard. Surprisingly, there is a physical smart key available on itel A44 Pro which can be used to clear the phone memory and turn on the flashlight. 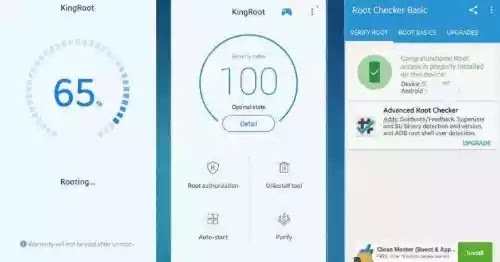 Now that you have purchased this phone, it's time to root it in order to unlock even more advanced features. But before going ahead you have to note that by rooting this phone, you have rendered the warranty "void" and you shouldn't put the blame on me if anything stupid happens to your phone in the course of carrying out this rooting (although very rare as it's usually error-free). 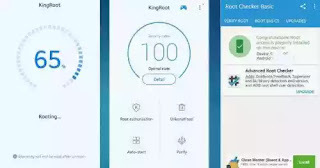 ✔️ Click Here to Download KingRoot. ✔️ Open App and Run it. ✔️ Follow the instruction given on screen. ✔️ Reboot at the end. ✔️ Install the program on your PC, Laptop, Computer. ✔️ Connect your phone with a USB cable. ✔️ Run the Exe file. ✔️ Click the root button from the main window. ✔️ Wait for the it to install. ✔️ You are done with rooting your phone.